Do you put your dirty feet up on the seats? A.S.S. Today I’d like to talk about an important issue that affects us all. A growing epidemic that causes the needless suffering of millions of Americans every year. It’s called Acute Selfishness Syndrome. Acute Selfishness Syndrome, or A.S.S., is a condition marked by low self-awareness, in which otherwise normal people temporarily seem to lose track of reality, and enter an alternate consciousness in which they believe they are the only people in the world. While in this state they are likely to exhibit any number of public nuisance behaviors that a person of normal sanity and awareness would consider inappropriate or obnoxious. Acute Selfishness Syndrome Effects Sufferers (A.S.S.E.S.) come in all forms. Perhaps the most common way that people show their A.S.S. is talking loudly on cellphones in confined public spaces. In these instances, the A.S.S. individual appears to believe he or she is in a vast, windswept meadow, with no one around for as far as the eyes can see or the ears can hear. That’s why when they’re asked to lower their voice, or take their conversation elsewhere, they will often look confused; “where did YOU come from…seconds ago it was just me here.” In this state of disorientation, these individuals can become highly agitated and lash out. They may mistakenly believe they don’t have a problem. Like with someone sleepwalking, it’s best to use discretion when trying to put a stop to A.S.S.-like behaviors in others. If you fear that you may be afflicted by A.S.S., just remember this: You are not alone. A.S.S. can strike at any time and affects as many as 1 out of 5 people in any given social situation. Scientists now believe that no one is innately immune to this condition. We are all capable of becoming A.S.S.E.S. That’s why this critical point bears repeating…YOU ARE NOT ALONE. Literally. There are 6 billion people on this planet, and you are but one. Always keep that in mind, and you are already well on your way to recovery. 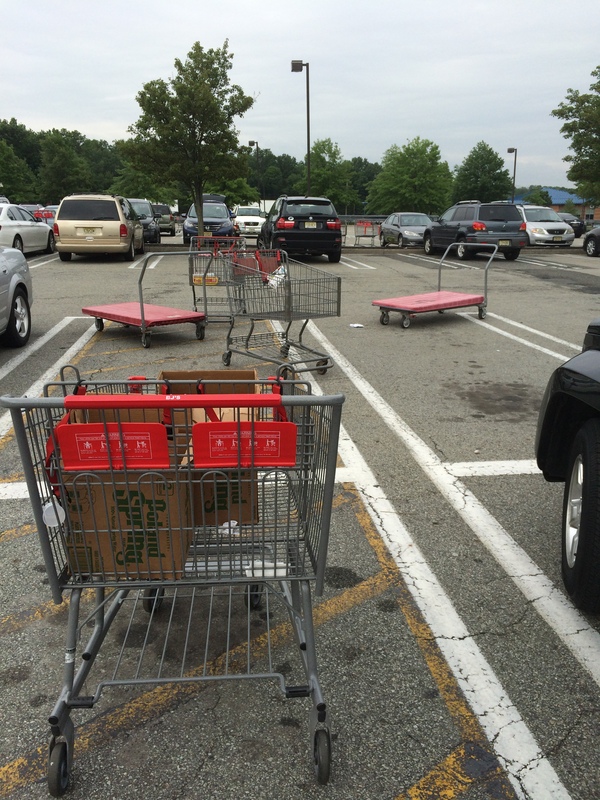 Do you leave your shopping cart in the middle of the parking lot, rather than find one of the corrals to put it back? A.S.S. Do you listen to your headphones so loud that everyone within 20 feet can clearly make out the songs? A.S.S. Do you pee on the seat? A.S.S. Do you cruise in the left lane while traffic backs up for miles behind you because eventually you might actually pass someone? A.S.S. Do you slouch down low in your seat on the train or plane or movie theatre, and then jam your knees into the seat in front of you? A.S.S. Do you leave your car parked at the pump after you’re done fueling, and then run inside to shop for a few minutes while others wait for gas? A.S.S. Do you leave your trash and tray on the table at self-service restaurants for someone else to clean up because ‘isn’t that their job’? A.S.S. Do you wait until it’s time for you to pay in the checkout line to announce that you forgot the green beans, and will “just take a sec” to go grab them? A.S.S. Do you refuse to check baggage, even when it’s the size of a dishwasher? A.S.S. Do you text or make any noises whatsoever in the theatre once the movie has started? A.S.S. Do you sit and read the entire paper at the crowded brunch place while others wait up to an hour for their seats? A.S.S. Do you talk in the quiet car on the train? A.S.S. Do you tailgate other drivers? And then flash your high beams if they’re not moving out of your way fast enough? A.S.S. Do you come to dead stops in the middle of busy city sidewalks and then spin in place as you try to get your bearings? A.S.S. Do you leave your weights wherever you used them, rather than return them to the rack? A.S.S. Do you believe that every single phone call that you make or take is of critical importance, no matter where you happen to be at the moment? A.S.S. Do you spit your gum on the sidewalk? A.S.S. Do you sometimes ‘forget’ to curb your pet? A.S.S. Do you exhibit any of those bad parent behaviors that we’ve all heard about at your kids’ games? That’s A.S.S. Big time! If you said no to all of them, congratulations. That’s the goal! You’re not showing your A.S.S. in public. If you said yes to one or more, your A.S.S. may need some work. Taking the quiz was an important first step. If you said yes to 10 or more, you may have the much more severe Chronic Selfishness Syndrome (CSS). You may not be fit for life among others. Disappear. Go somewhere isolated and don’t come back. The world will be fine without you. Remember, though, this list is just a sampling of all the ways that we can do crappy things when we forget that there are other people besides us in the world. Managing A.S.S. is simple. It doesn’t require going out and actively trying to make the world better (though, of course, that would be nice). In fact, it requires no action on your part at all. It’s just a request that you not go out into the world and make it worse for everyone else. Raise your self awareness, think about people around you who also had a rough day, or also are trying to get somewhere, or who also have rights and feelings, or who also think their job (or their family) is important but recognize it’s not important to the other 100 people around them. Together, we can put an end to people treating each other like A.S.S.